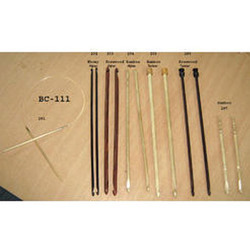 Prominent & Leading Exporter from Moradabad, we offer needles and crochet hooks, knitting crochet hooks, crochet hooks, acrylic crochet hook, metal - aluminum crochet hooks and ebony afghan - tunisian crochet hooks. 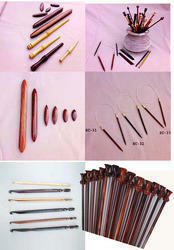 These are bamboo & rosewood knitting needles , crochet hooks & circular needles from high standard products. 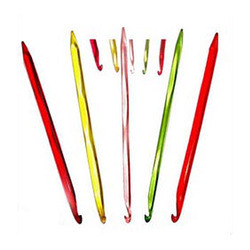 We manufacture and supply a wide collection of Knitting Crochet Hooks, that are available in various types of hook designs. 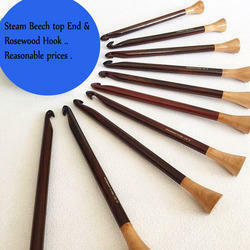 These are precisely made using different materials such as rosewood, multiwood, ebony and blonde wood. Elegantly designed, our range is highly admired by our clients owing to their strength, lightweight and long lasting features. With the support of efficient craftsmen, technicians and engineers, we are manufacturing a comprehensive array of Awls, bodkin & Crochet Hooks. These are manufactured using high quality wooden materials. 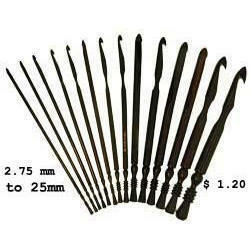 Also known as crochet needle, this is basically used to make fine stitches on the clothes. 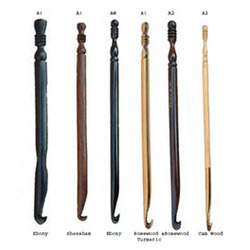 A crochet hook usually has wooden or plastic handles with metal made hook at the upper end. 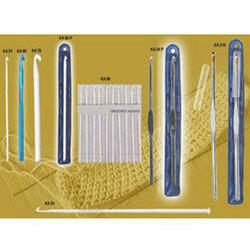 Our crochet hooks and awls are widely used in Textile, food packaging and leather industries. 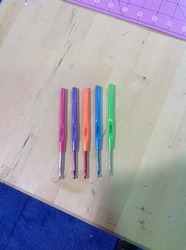 Acrylic crochet hook / point needles in various colors which looks very attractive in hands. 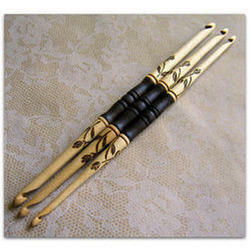 Ebony - Cam , These Multi wood Crochet hooks looking gorgeous . 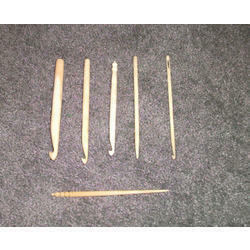 This is a type of crochet hook, which is made of wood. This is light in weight and very comfortable to use. 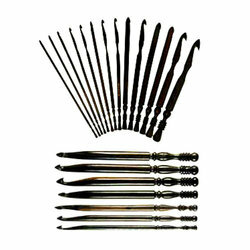 We manufacture crochet hooks of different materials like Rosewood, Multiwood, Ebony Wood and Blonde Wood. Our crochet hooks are also considered to be the best in the market for their strength, lightweight and long lasting character. Packaging Details: Card Packaging , Box Packaging . All types of Packaging are available . 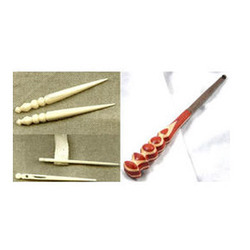 Manufacturer of bone crochet hooks. Looking for Crochet Hooks ?